Cleantech offers precision-engineered machines to clean escalators, providing expert solutions for escalator cleaning and maintenance. Our products simultaneously deep-clean and dry steps and risers in situ, leaving your escalators prepared for immediate use. 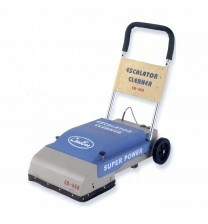 Cleantech Gulf is proud to supply industry-leading escalator cleaners to our UAE customers.